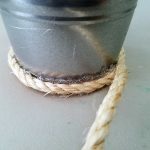 Decorative planters can be expensive, unless of course you make them yourself. 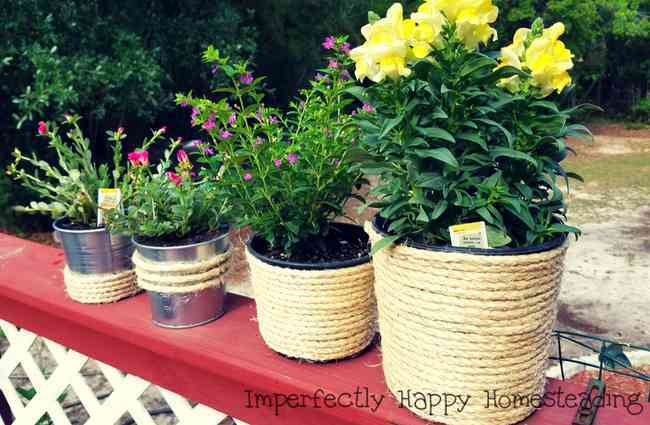 These twine wrapped potted planters are a great way to re-purpose just about any old container that you have. 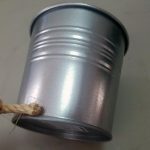 Try re-purposing pots made of plastic, galvanized metal, terracotta, tin cans, glass jars, or even a wood pot will work. 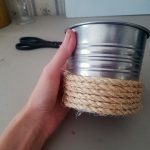 I have several creative ideas for these sensational twine wrapped planters. The stuff we are using today is not really called twine, but it’s made from the same stuff. Today we will be using a cordage called sisal. Sisal is made from the agave plant. Which is used to make thread, twine, thick cordage, rope and even carpets. These cute little planters are perfect for gift giving. They can also spruce up a small side table, the porch, or they can be used as a small centerpiece for your next get together. 100 Feet Sisal Cordage, I bought ¼ inch thick sisal. I wouldn’t go any thicker than that for this project. You could go thinner though. 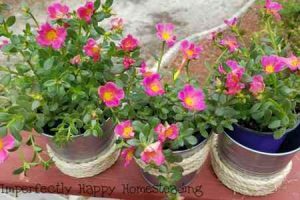 Plants of your choice to place in pots when you are done. Start by heating up your glue gun. If the sisal has tape on the ends, remove it before you get started. Take the glue gun, and put a dollop of glue on the very bottom of the planter. Quickly place the end of the sisal in the glue. Press slightly and carefully. That glue is HOT, be careful not to touch it! Place some more glue dollops around the container. I did about three dots 1 inch apart, then pressed on the sisal slightly, and then repeated this until the first row is completed. For the next row, you can place a line of glue on the sisal below. Pressing down and inwards firmly to make sure it sticks to both the sisal and the container. Cut the sisal when you get to the end, and make one more dollop to secure it. Add your cute little plant, and admire your work! 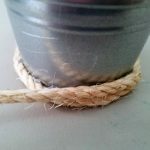 There are several variations on the twine wrapped potted planters that you can do with this sisal. 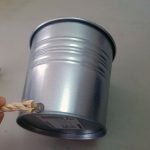 I made some small galvanized planters with only a couple of strips of sisal. Here’s a couple more that I painted the container blue, and then added a couple strips of sisal. There are so many different ways to make these, get creative! The plants I used for these planters were snapdragons, purslane, and heather. I picked these for their gorgeous colors and foliage. Some of these plants are edible, but you have to make sure you buy ones that say edible on the tag. 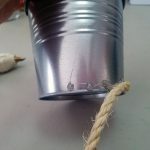 I hope you enjoy crafting and re-purposing some old containers into something new. I know I did! Her family thinks she is the world’s best cook. She currently has too many hobbies to list. Her favorite is crocheting. She also loves gardening, caring for chickens, making homemade items, and escaping to new worlds through books. 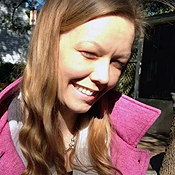 Kristi is also a writer for Fermentools, and for the Beauty Lifestyle Mommy Magazine. What a cute and inexpensive idea! Love it! 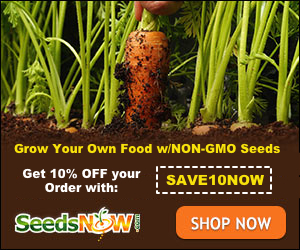 I’m always looking for ways to keep my gardening costs down and this looks like it fits the bill. Thank you for sharing!